West Lebanon, NY - Veteran racer and former NHRA Lucas Oil World Champion Frank Aragona took the honors in Comp Eliminator then shared the winner’s circle with his son Frank Aragona III who took home the trophy in the Summit Jr. Drag Racing League and the 6-9 year old class. West Lebanon Valley, NY - The team from Atco Raceway racked up 59 points to take home the team championship while four individual racers earned NHRA Summit Racing Series Northeast Division Championships and a trip to Pomona, Calif., for the Summit National Championship in November. West Lebanon, NY - Red hot Doug Doll picked up his fifth win of the year with his third divisional to go along with a pair of national event wins. The Lancaster, Pa., racer is a perfect 7 for 7 in final rounds with this win over Peter Luciano, Malvern, Pa., who left early with a red light foul start. West Lebanon, NY - The Comp Eliminator final was taken by Kyle Cultrera, Eliot, Maine, who had a starting line advantage and pulled away from Chip Ippolito, Laconia, N.H., for the win. While in Super Stock Bryan Worner, Ducannon, Pa., 10.048, 13.13, earned his 5th divisional Wally over Joe Santangelo, Malborough, Conn.
West Lebanon, NY - A pair of former NHRA Lucas Oil National Champions added wins to their resumes as Lincoln Morehead and Joe Santangelo grabbed wins in Super Stock and Stock respectively. West Lebanon, NY - The Comp Eliminator final was close at the start with Kyle Cultrera, Eliot, Maine, pulling away from Chip Ippolito for the win in his ’32 roadster while Ronald Riegel used a perfect 0.00 second reaction time in his ’68 Camaro to take the win in the Magnaflux Top Sportsman class presented by Select Performance. West Lebanon, NY - Ray Stanton and Frederick Perkins won in the MXI/Magnaflux Top Dragster and Top Sportsman classes respectively with Stanton, Poughkeepsie, N.Y., running a perfect 7.220 on his 7.22 second dial in defeating Jason Hoff, Littlestown, Pa. Perkins, Plainville, Conn., took the early lead in his final round against Tom Nicholson, Ro slyn Heights, N.Y., and held on for the win running 178.06 mph in 7.690 seconds. West Lebanon, NY - Lebanon Valley Dragway witnessed exciting drag racing action over the 4th of July weekend during the NHRA Lucas Oil Drag Racing Series event. 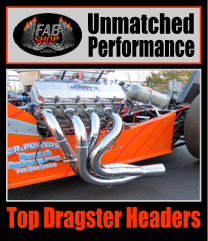 Mike Sawyer, Leominster, Mass., went home with two championships yesterday, in Super Gas and Super Street. West Lebanon, NY - 2009 division champions Frank Aragona Jr., and Mike Sawyer continued their wining ways with Aragona, Freehold, N.J., taking the win in Comp Eliminator defeating Vinny Barone, and Leominster, Mass., resident Sawyer drove past Alan Kenny for the win in Super Gas.